Here comes an end to another fun trip. I sometimes think how can some people not love to Travel and want to spend their time relaxing on holidays. For me travelling is like a drug, something I can never get over with. Something that not just gives me peace of mind but satisfies my soul. It is something that makes my life worth Living!! Now talking of Mussoorie, the city is situated at a height of 6500 feet above the sea level and is known as ” THE QUEEN OF HILLS ” .As described by its name the city has amazing and some of the most beautiful hill spots to visit and die for. 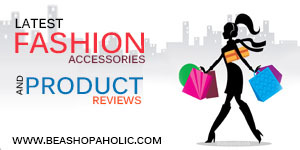 Besides there are several adventure activities which will make our trip thrilling. In short the place is a perfect blend of relaxation along with adventure. 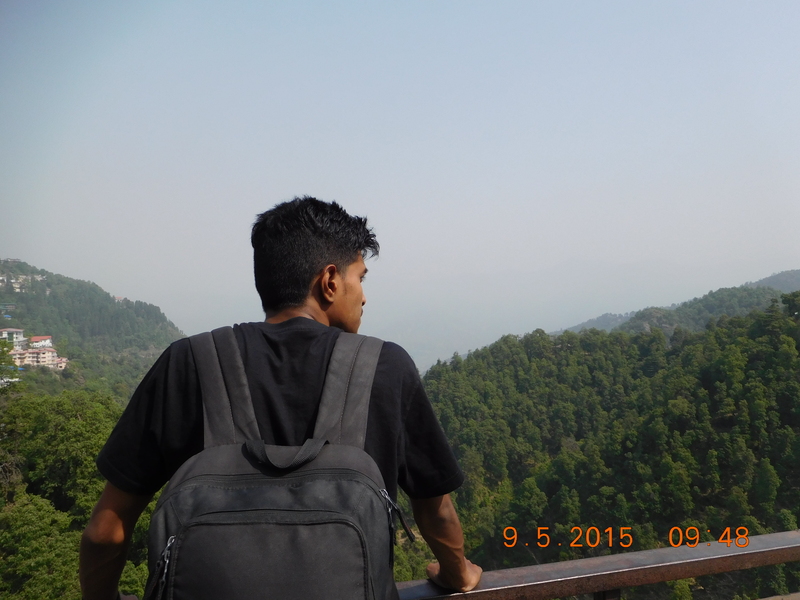 Some of the most famous place to visit here are the Lal Tibba which is the highest place in Mussoorie and displays an amazing view of the entire city. The place is a must visit on trip here and while you travel all way long to it you will come across roads that has valley on one side and huge mountain rocks on other. This makes the trip to the place exciting as well as thrilling. 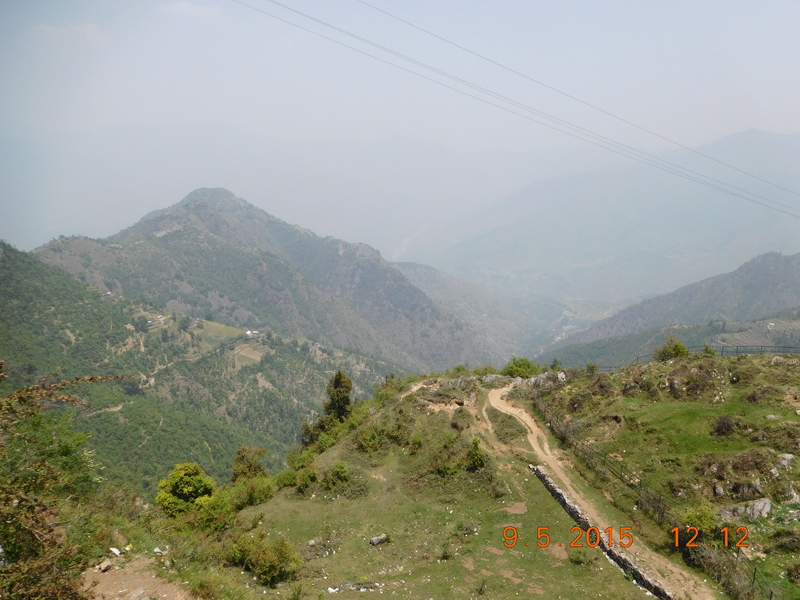 Th other exciting place to visit is Dhanaulti which is situated at a height of 8,500 feet above the sea level. 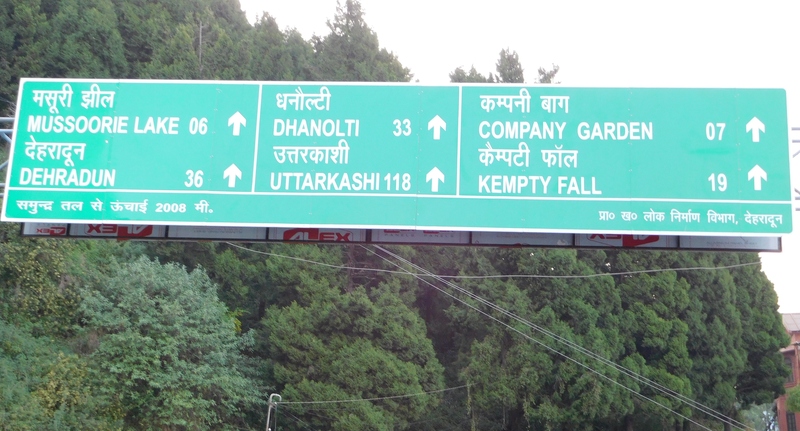 Almost 30 km drive from Mussoorie will take you to the spot. You can either take a cab or like us walk to the bus stand from where you can pick up a bus or cab again. We did walk through the Mussorie Markets and the roads which is really tough task and after almost 2 km of walk reached the Bus Stand from where we took a cab to Dhanaulti. 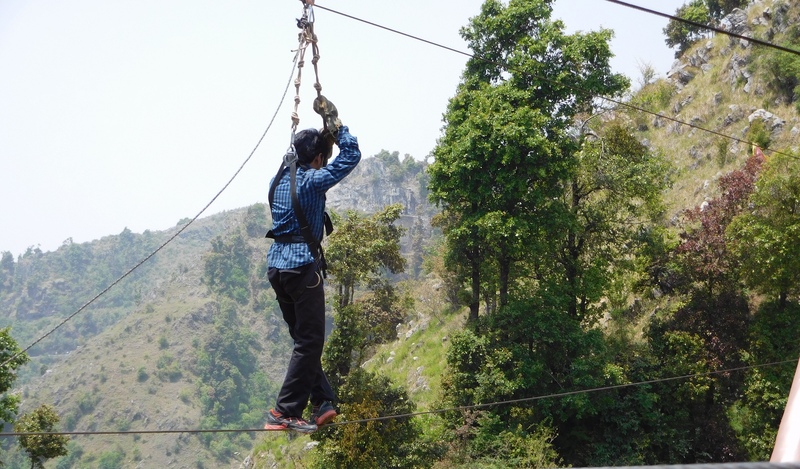 In Between there are places where you can test your fear for height and try out some amazing adventure sports like Sky Walk and rock climbing. After returning from the sports and drive to dhanaulti we visited the Kempty falls which is an amazing waterfall among the hills. The fall unlike other waterfalls is divided into several layers one after other and has almost 6 steps completing it with a pool. The place amidst the forest is very relaxing and eye-catching. If you have skipped the falls, I suggest you do visit it. Oh! How did I just miss the famous Cheese omelet, For all the foodie people like me I know the trip isn’t over without the famous food around . 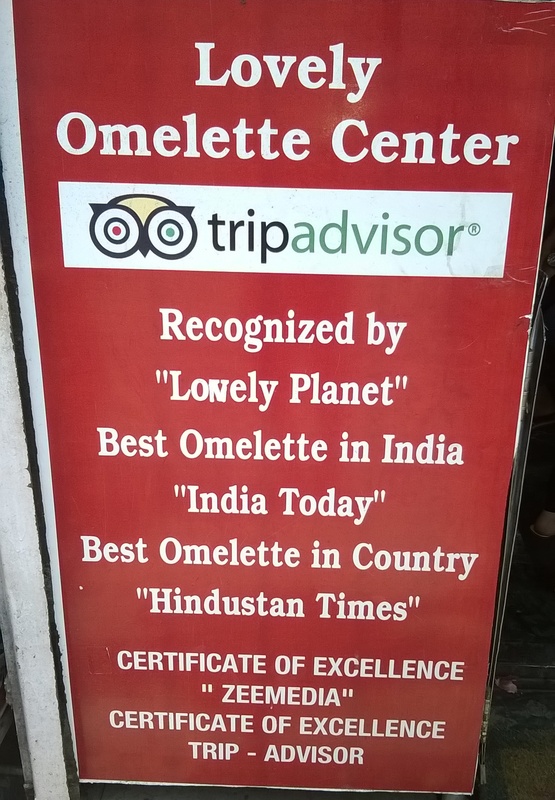 So if you visit mussoorie do not forget to taste the word renowned and famous cheesy omellet . Also while you take a walk of the Mall road and the shops there sip the cardamom milk with lots of thick cream and enjoy the evening. With these beautiful places and adventure our trip finally came to an end. One of the most amazing and dare devil trip of coarse. In one word it is truly said Mussorie is the “Queen of Hills” and I will definitely miss it until I decide of another adventure! !